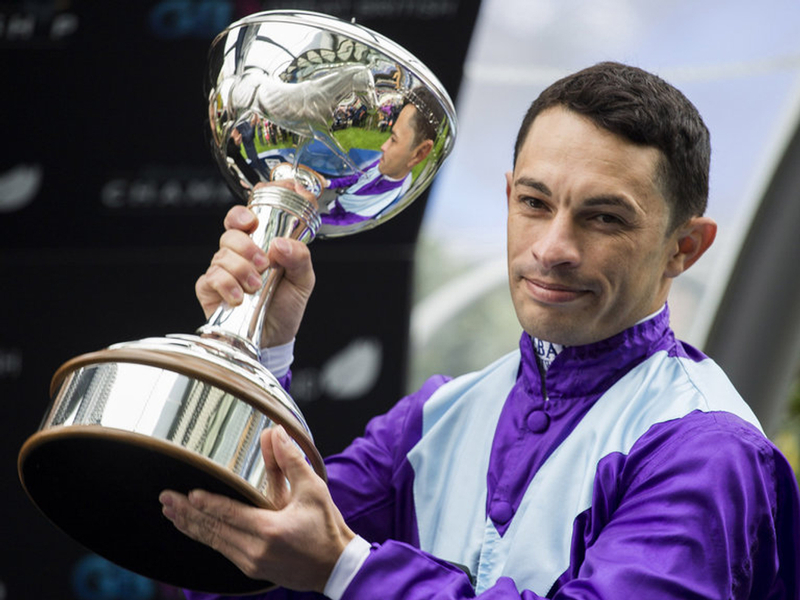 Silvestre De Sousa's new role with King Power Racing may dent his chances to pursue a fourth career Champion Jockey's Title and thus retain last year's Championship. The Brazilian is back in Britain after riding plenty of winners in Hong Kong over the winter break - 44 to be exact, and has his first booked rides back in the UK at Chelmsford on Thursday. He will get a first taste of his new partnership with rides on Fox Leicester at 6.00pm and Rux Power an hour later, but has been left with serious doubts as to whether lifting the crown at Ascot on Champions Day in October really is a possibility this season. (Credit: Racing Post) The jockey said on Tuesday: "I want to ride as many winners as I can, especially for my boss. It has come at the right time and I hope things can work out well. "It's a young operation and they have a lot of ambitions.I don't think I'll have as much time on my hands to be chasing winners or going where I think I've got the best chance of riding a winner. "It's very sad the main man [Vichai Srivaddhanaprabha] has passed away but the son [Aiyawatt] is able to carry on his father's dream." Bookmakers have priced De Sousa a general 4/5 shot for this year's championship, with Oisin Murphy - last year's runner-up shortening to a rough 7/4 chance. Murphy will fancy his chances after going close last year, having recorded a quick-fire double at Lingfield on Monday, and looks to be in fabulous form after spending his winter in Japan and Dubai riding multiple winners too. (Credit: Racing Post) He said: "I gave it a go last year and came up short but I'll be giving it another go. "Silvestre [de Sousa] is a tough competitor and I sit next to him every day in the weighing room. He's back home so I won’t be getting any head start on him." De Sousa meanwhile will be looking forward to jumping aboard Wolverhampton Lincoln trial winner Zwayyan in the real thing itself at Doncaster on Saturday, as the new flat season prepares to begin. He added: "He won the trial and is one to look forward to. I'm excited by the job, they've got a lot of horses and with different trainers." Sir Michael Stoute, Tim Easterby and Karl Burke have all been added to the King Power Racing roster this year, with over one hundred horses in training carrying the infamous blue and white colours of the football club. As for Murphy, he will be relishing the chances provided for him by regular trainer Andrew Balding, as well as the owners of Qatar Racing.